You adrenaline junkies are gonna love this! 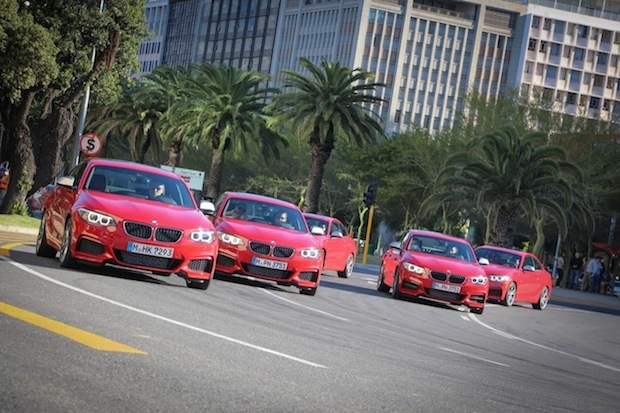 Five cherry red M235i coupes performing a choreographed high-speed drifting sequence on a closed traffic rotary in Capetown! What more to ask! First question that comes to mind: “Is that a fake, montage, Hollywood style type of commercial?” The answer is no, that roundabout was actually closed for a period of almost 3 days in order for the director and crew to capture the shots. In the cars are actual precision, professional drifting champions like Rhys Millen and Samuel Hübinette. The cars available were only these five M235i. There were no replacement cars “just in case” so the drivers had to be very careful. Oh and almost 33,000$ worth of tires was spend in the making. The commercial is just brilliant, perfectly targeting a typical M235i buyer that would be looking for a classy, sporty, German and fun coupe. You can check the behind the scenes video taken by Drive by clicking right here. Now, about the M235i. It is the new born of BMW hiding under the hood a turbocharged N55 inline-six, making 320 hp and 330 lb-ft of torque burning the 0-100km/h in just 4.8 sec. A quick-shifting eight-speed automatic (not dual-clutch) with wheel-mounted paddles and a launch-control program is standard. Being a beamer, the power is sent directly to the back wheels. With that, the car manages a 52:48 weight distribution. 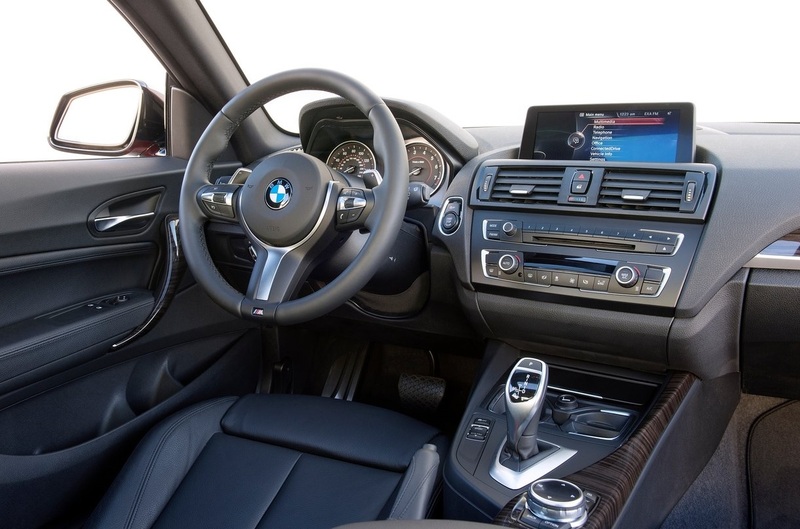 The interior is regular, typical BMW with a nice big display screen in the middle. The steering wheel has been beautifully designed. So glad that the hand brake is still here and hasn’t been replaced by those hideous parking buttons that are invading most modern cars. All in all, that M235i must really be a joy to drive and drift. I loved the inside and outside design even though I have some problems with the back and those two small exhaust tips. If you are looking forward to getting one, go crazy go for a red or a blue! It is a fun car after all!